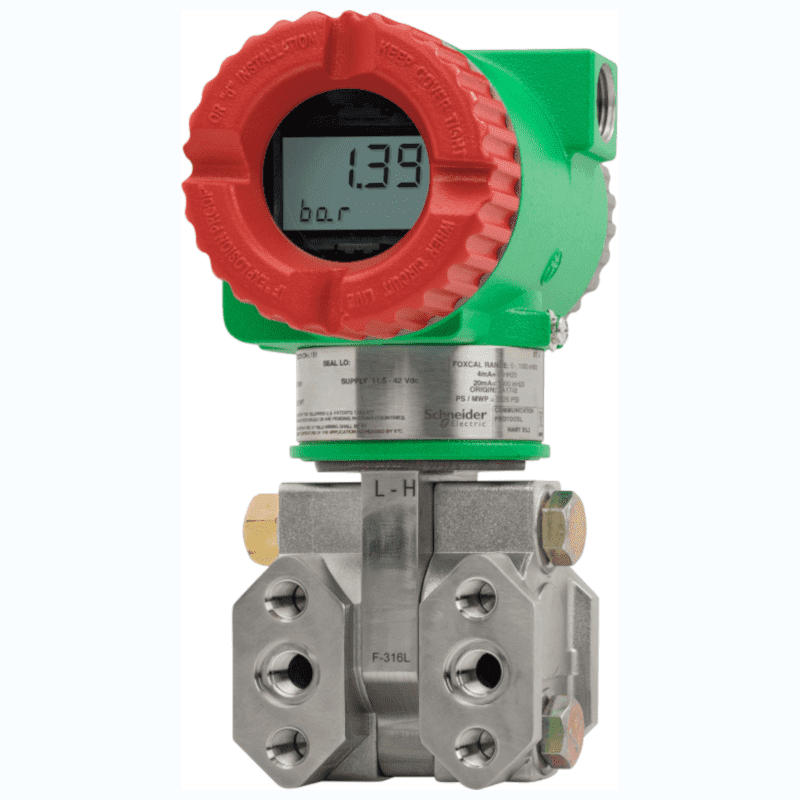 The IDP05S series is a budget-friendly differential pressure transmitter within the Schneider Electric range with standard SIL2 certification. The IDP05S measures a pressure difference with an accuracy of 0.075% of the chosen measuring range, ranging from 50 kPa to 207 bar. This makes the IDP05S differential pressure transmitter less accurate than its bigger brothers, but also a lot cheaper. 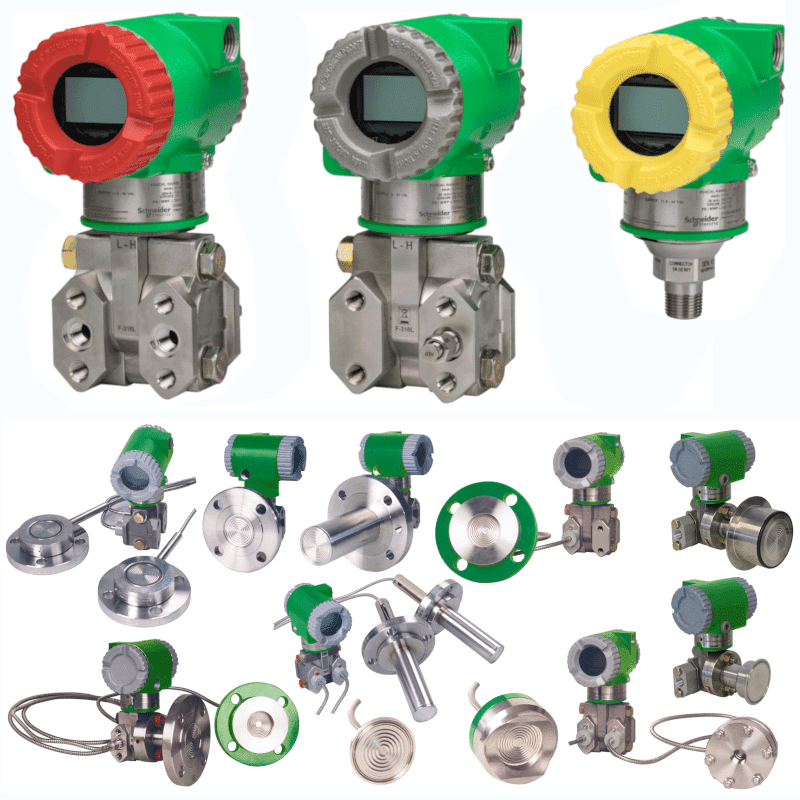 For less demanding applications, this differential pressure transmitter has the best price-quality ratio. Handy options are the yellow and red colored rings with which color coding can easily be applied in a factory, for example for SIL classifications.